The Weber Summit Charcoal isn’t your typical barbecue – it’s the ultimate charcoal experience. Weber have been making barbecues since 1952, so they know what works. The Weber Summit charcoal brings unlimited cooking potential to your backyard. Whether you want to grill a steak, roast a whole chicken or create low and slow style meats, the Weber Summit Charcoal can do it all. Weber’s innovative design means it’s not just a bigger style kettle, it’s the ultimate charcoal flavour and cooking experience. To give you total control over the cooking fire, Weber created a double walled insulated kettle, out of Weber’s famous porcelain enamelled steel. This means is easy to clean and won’t rust. And it looks good too. But the double walled insulation, being 50mm thicker on the outside than the inside, gives you an incredible efficiency and allows you to roast, smoke, bake or grill with ease. 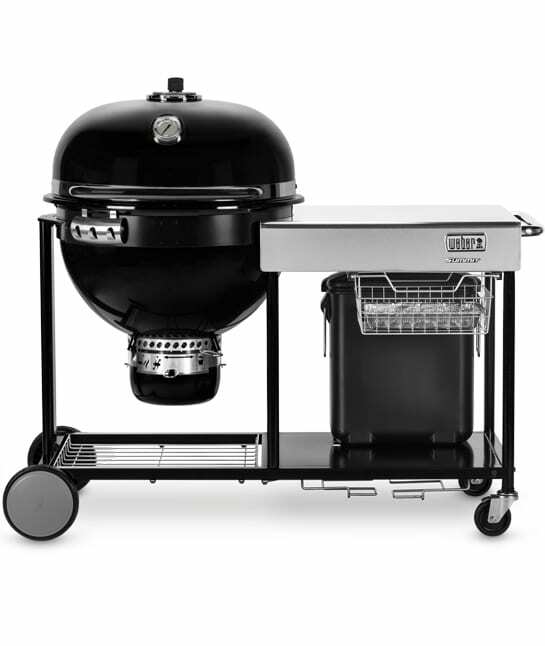 The Weber Summit Charcoal also features a three stage venting and cleaning, One-Touch system. It not only makes cleaning and ash disposal easy, but it doubles as an adjustable venting system to give complete control over the fire. We would love to say that the Weber Summit Charcoal is better than the competition, but given it’s in a class of its own, there really isn’t any. 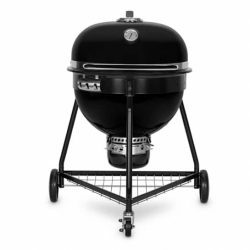 Bring unlimited potential to your backyard in the form of the ultimate charcoal barbecue. The Weber Summit Charcoal, the peak of perfection.